For my sister-in-law’s birthday, she rented a beautiful home among ancient oak trees in the bucolic city of Paso Robles. 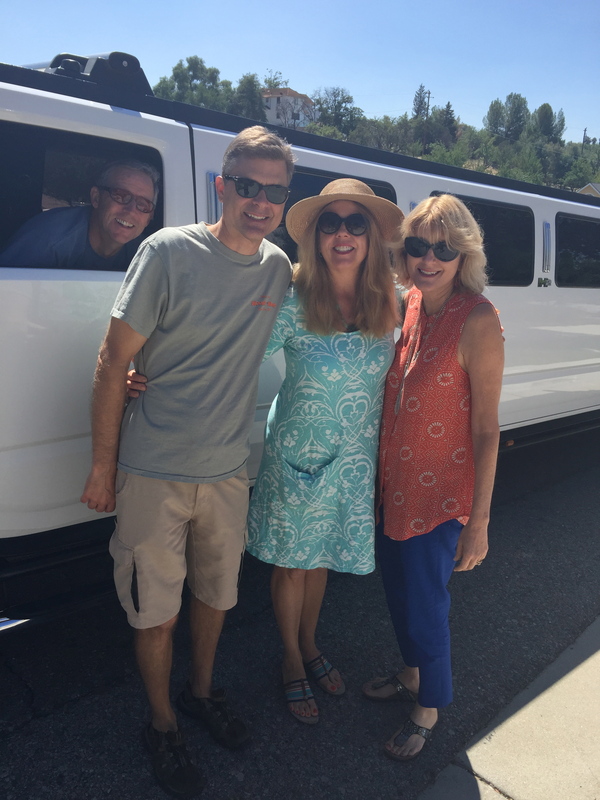 She also rented a white, stretch Hummer limousine for a day of visiting wineries and tasting some of the elegant wines in the region. The draw to Paso Robles is that it’s a idyllic weekend getaway for Californians. Situated in San Luis Obispo County, it’s 206 miles North of Los Angeles and 206 miles South of San Francisco: the perfect meeting ground for our family. She lives in Santa Cruz and we live near Pasadena. The five-bedroom and three-bathroom house we enjoyed for the weekend had a custom pool with a large spa and barbecue outside, ideal for a Friday night swim and festive barbecue dinner. Inside was a large kitchen, living room and dining area that was spacious for seven adults and three teens. The next morning an Elegant Image limo arrived at the house to whisk us away on a tour of Paso Robles wine country. As the adults got into the limo that seats up to 13 guests, the teens drove over to the nearby Ravine Waterpark. It’s a cool spot filled with twister slides, a kids water play area, lazy river and kamikaze speed drop and slide and a lot more fun then hanging out with adults at various wineries. We picked up four other friends at a nearby hotel and drove to the first winery, Eberle Winery. Walking into the tasting room, I noticed two interesting items on the walls. The first was a framed letter near the entrance from President Ronald Reagan on White House stationary, thanking Eberle for his generous gift of Eberle wine. The second item was owner Gary Eberle’s framed Penn State football jersey. As a young man, this linebacker earned a football scholarship to the school. I learned he was selected on a NFL team, yet got injured after 10 days of going pro and decided to go back to school. While attending Louisiana State University and studying cellular genetics, Eberle developed an appreciation for wine. He applied to U.C. Davis to study Enology, got accepted, and moved to California. After receiving his degree in Enology in the early 1970s, he moved to Paso Robles and became one of the winemaking pioneers in the region. Since we were a big group, we reserved a private tasting outside and a tour of the underground caves. 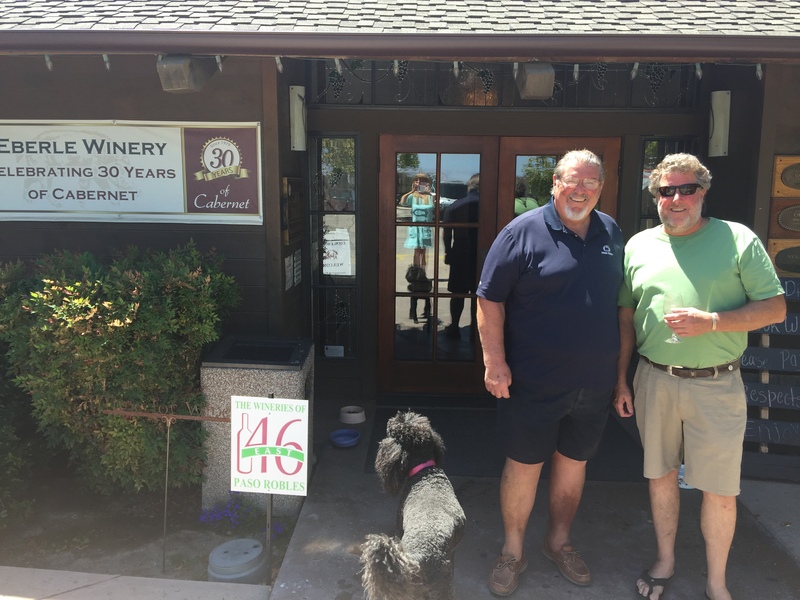 The affable Gary Eberle greeted us near the entrance of his tasting room. He had his staff member Madison pour our tastings and educate us on the various wines. We sipped six different white and red wines while overlooking beautiful views of the 38-acre vineyard. There is a lawn with a bean bag game that we all enjoyed in between tastings. 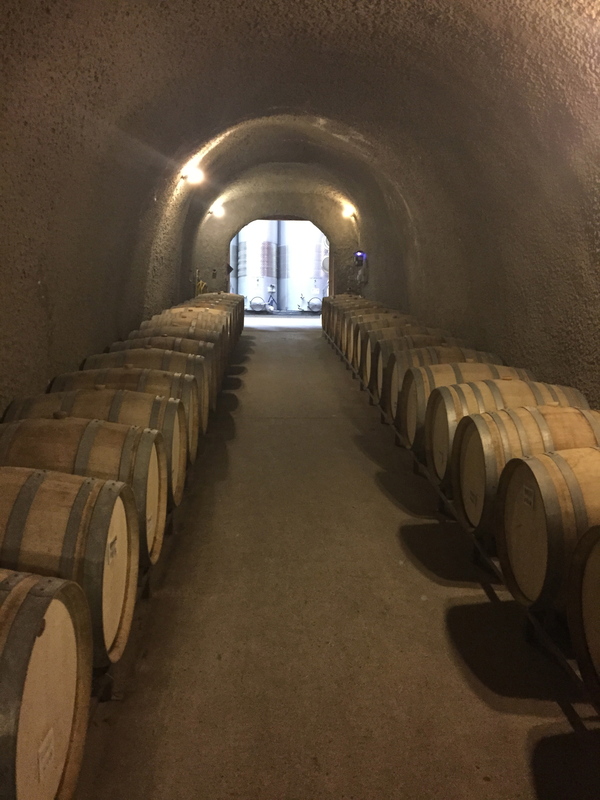 Madison stopped pouring and took us on a private tour of Eberle’s 16,000 square feet underground caves. The $20 per person tasting and tour fee was waived, because we purchased bottles of wine and gifts from their boutique. If you have a group of eight or less, groups can reserve a private tasting and cheese plate paired with the wines for $35 per person. Next, we drove along winding country roads to the more rustic Whalebone Winery tasting room. Owned by Dr. Robert and Janalyn Simpson, it’s a smaller family operation with their daughters and nephew offering pours. Two cats sit outside on picnic tables hoping visitors will give them a pet. Known for their Cabernet Sauvignon grown in limestone and calcareous soil that is laden with fossilized seashells, the owners found actual million year old whalebones while planting their vines. 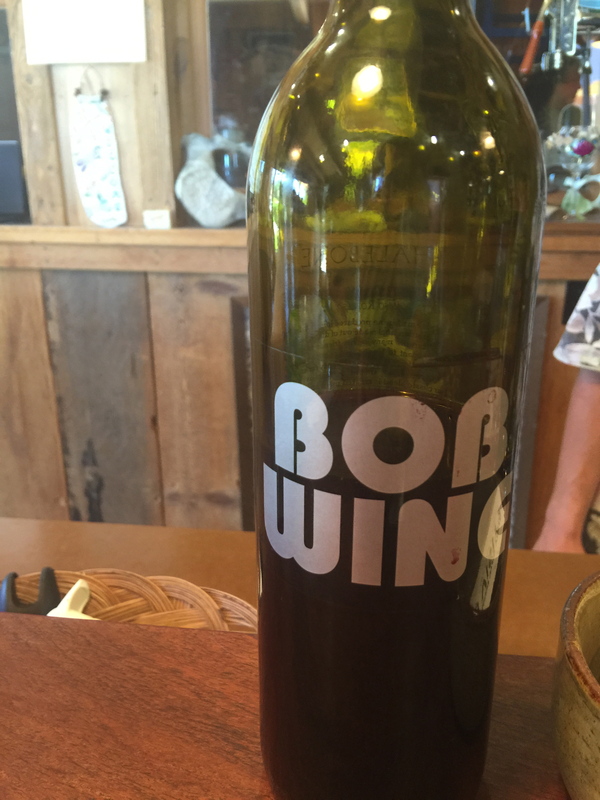 We learned that the cult favorite BOB WINE, was the first wine created on the vineyard. Dr. Robert “Bob” would always bring a bottle or two of this wine on his annual Montana fishing trip with friends. Its first label was made out of duct tape. We enjoyed a taste of Bob 2011 made with 70% Estate Cabernet Sauvignon and 30% Merlot and a taste of Bob 2012. The Boneyard taste was a Rhone- inspired red blend that was big and fruit driven. Their beloved late English bulldog’s face is on the label. We also enjoyed the Zinfandel offering red raspberry, clove, and cinnamon aromas with each sip and swirl. Since we bought some of the wine, the tasting fee was waived. Three wineries is enough for one day, so we made our last stop at Jada Winery, with a reserved private tasting outside on the covered patio. A staff member offered us five different flights of all-estate wines for $10. 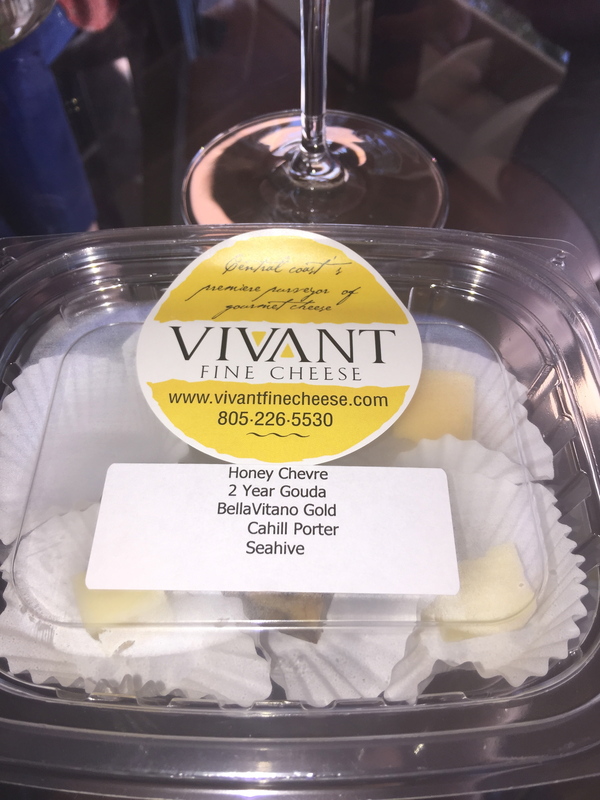 For an extra $3 we had the opportunity to pair each taste with five artisan cheeses prepared by the Paso Robles gourmet cheese shop, Vivant Fine Cheese. This was my favorite tasting experience of the day. We started with a white blend offering notes of pear, peach and melon and a chunk of honey Chevre. Next, The Jersey Girl is an Estate Syrah with aromas of fresh red fruit, and orange peel. This went well with a small square of two-year Gouda. The third taste was from a bottle of Malstria offering notes of plum, grape Jolly Rancher, blackberry fruit rollups and orange peel. It went well with the cow’s milk BellaVitano Gold. We all liked the Strayts tasting made with a blend of 75% Merlot and 25% Cabernet Sauvignon offering aromas of dried black cherries, cola, soy sauce and balsamic reduction. It paired with a mocha colored Cahill Porter cheese. Last, the Hell’s Kitchen wine was a red blend with smoky black fruits, licorice, and tinges of vanilla. It paired nicely with a chunk of cows milk Seahive rubbed in wildflower honey. 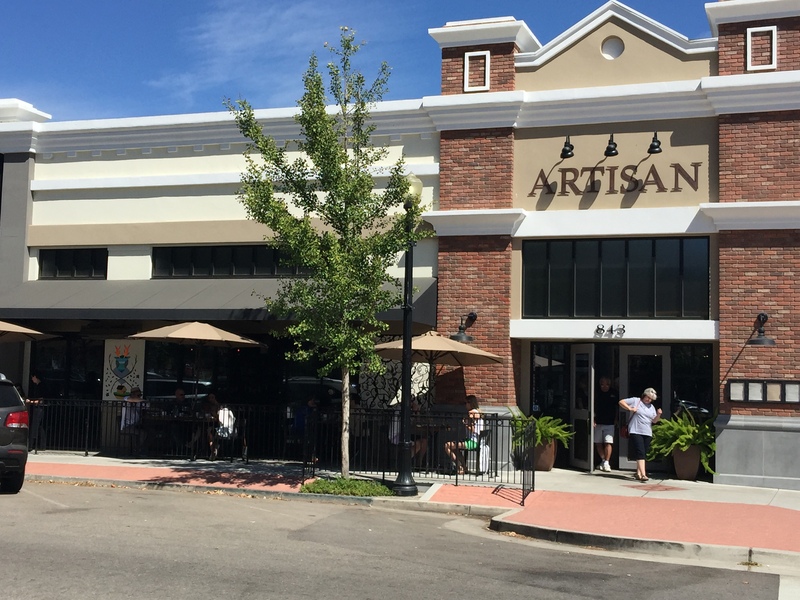 Fully satiated, we had the limo drive us home for a swim and nap before a special birthday dinner at Artisan restaurant, owned by two brothers, Mike Kobayashi and Executive Chef Chris Kobayashi, in the center of the Paso Robles square. We liked the creativity of the dishes and ordered a multitude of small plates that included burrata with summer peaches, smoked almonds and speck; foie gras torchon, with blistered fig, maple and sherry gastrique and black walnut; and a field mushroom pizza with leeks, fromage blanc and a drizzle of truffle oil. Salads included pickled beets with chèvre, candied walnuts, and arugula; and an eggplant caprese, garden tomatoes and pesto. The abalone tostada was similar to calamari. It was on a crisp shell with avocado, grilled corn and a cherry tomato pico. Entrees included a flatiron steak; cider brined pork chop; wild boar tenderloin; Alaskan halibut; Kobe tip steak; King salmon and Atlantic scallops. We decided to bring our own wine to the dinner and learned that corkage is $20 for the first two bottles and $25 for any additional. 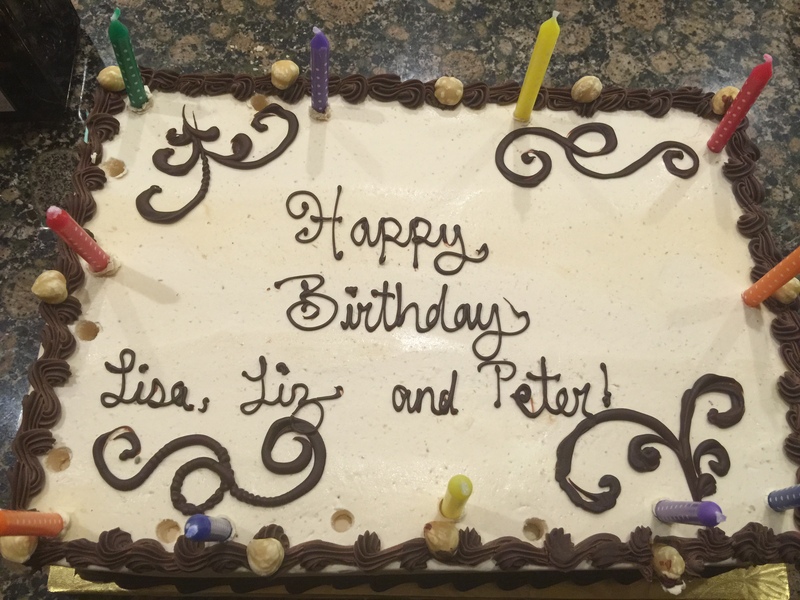 Since we had a large cake waiting back at the house, we waved the dessert menus away and paid the bill. The next morning after breakfast we all agreed that Paso Robles is ideal destination to splurge and enjoy elegant wine and food. We might make this an annual tradition. As a travel journalist for 17 years some of my favorite experiences have been climbing The Great Wall in China, swam with Stingrays in Bora-Bora, explored caves in Belize, followed a pod of Orcas in Alaska, swam in the warm waters of Krabi in Thailand, visited Marco Polo's house in Korcula, Croatia and sailing around Richard Branson's Necker Island in the British Virgin Islands. Read my travel reviews to be inspired to see the world.